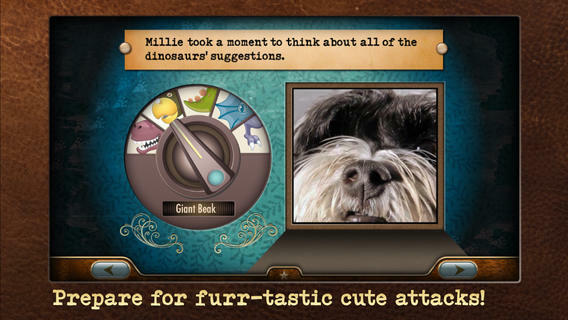 Millie’s Crazy Dinosaur Adventure tells the tale of one adorable dog’s journey back in time to the land of dinosaurs. When Millie attends Kitty’s birthday party, she’s embarrassed to realize that she’s forgotten her gift at home. Millie decides to build a simple time machine to go back in time and retrieve the gift, but to her surprise, she travels a little too far back. This tale of adventure and friendship engages children with rich activities that include interacting with the story, exploring elements of the tale, solving puzzles, and practicing/enhancing vocabulary. The read-along feature highlights each word as the narrator reads, and interactivity clues appear as paw prints to help kids along the way. A particularly clever “bedroom mode” offers a calming pre-sleep reading experience with a dimmed screen, soothing music, and lower volume. Developed by the children’s app studio Megapops, this is the first “in-house” app from founders Randy Lowenstein and Jennifer Taylor. 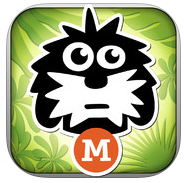 In 2011, the duo hired a professional developer to create their first two apps, Meet Millie and Millie and The Lost Key. For their third book, they decided to develop on their own with Corona SDK, finding the platform incredibly easy to use. 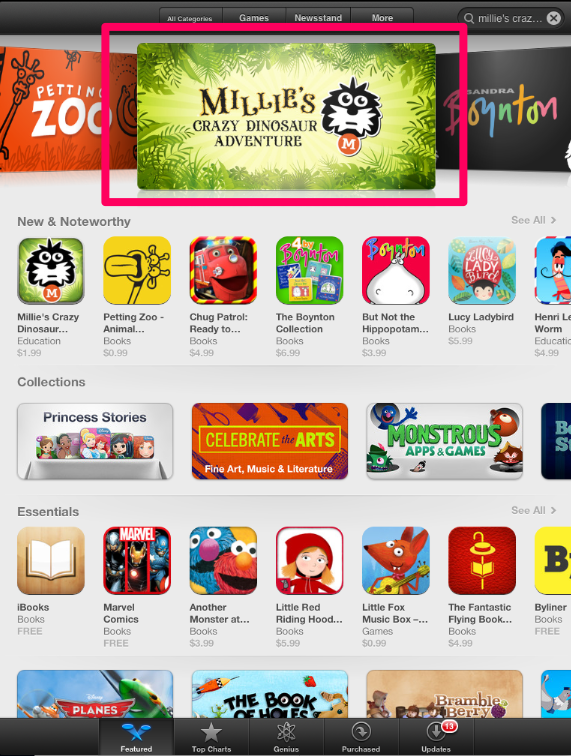 The hard work paid off, as Millie’s Crazy Dinosaur Adventure soared to #1 in Books and #2 in Education on the App Store. To top it off, the book app was graced with a large promotional banner by Apple, as seen below. To read this charming story with your child, head to iTunes and download Millie’s Crazy Dinosaur Adventure for $1.99.